Charles Dickens first serialised Great Expectations to rave reviews in 1859 and its wit, power and brilliance is just as fresh today. You may have read this story of first love and lost identity before, but not like this. Charles Dickens is a literary legend. His books have sold millions of times over and have been staged, filmed and translated throughout the world. The very word Dickensian conjures scenes of bucolic Britain, industrial hardship and a clutch of characterful gargoyles. Miss Havisham – enough said. Juicy characters that can never be forgotten. A journey of sin, repentance, forgiveness, redemption and growth set in the harsh world of the Victorian period. Charles Dickens is a literary legend. His books have sold millions of times over and have been staged and filmed and translated throughout the world. The very word Dickensian conjures scenes of bucolic Britain, industrial hardship and a clutch of characterful gargoyles. But Dickens' early life was not one of privilege and ease. His father was in and out of debtor's prison and the author spent his early teens working in a blacking-factory. These humble beginnings are often reflected in his novels, his first being the serialisation of The Pickwick Papers in 1836. From then he wrote some of the greatest classic novels of our time. On his death in 1870 the Times wrote, "The loss of such a man is an event which makes ordinary expressions of regret seem cold and conventional." 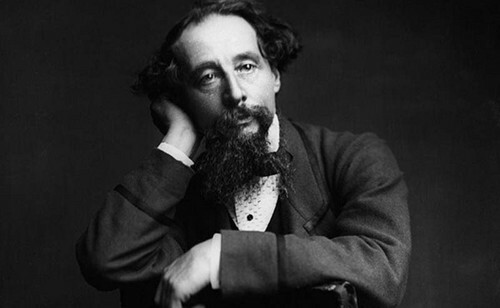 To honour the man himself we will be donating half of all payments made for Great Expectations to the Charles Dickens Museum. To find out more about this wonderful organisation, please click here.